Welcome to the Q3 2017 newsletter! The market demand is growing for scalable measurement solutions - the type that seamlessly connect multiple signal generation and analysis instruments together. 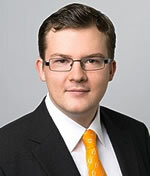 That kind of functionality is what this month’s interviewee, Philip Moll, appreciates in researching novel materials and it is also in demand for the future of quantum computing. With that in mind, we recently developed Multi-Device Synchronization for our Lock-in Amplifiers and Arbitrary Waveform Generators in a Swiss CTI government project. This new functionality is described in a short article below and is now available with the latest LabOne release which is, as usual, free of charge for all customers. 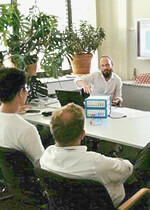 We also held our first SPM user meeting hosted by Prof. Angelika Kuehnle's group in Mainz, Germany. The two-day event enabled seamless knowledge exchange between Zurich Instruments’ users. They enjoyed invited talks, tutorials in smaller groups and a poster session; we are already organizing a follow-up event for next year. Interested in joining us? Just drop us a note. On the application side, we highlight some novel measurement schemes to do time-resolved SPM. Also, we have posted a new video showcasing the MFIA impedance analyzer as the only instrument in the market covering a measurement range from 1 mΩ to 1 TΩ and offering 0.05% accuracy over the widest measurement range. And finally, we announce the winners of our student travel grant. Check out who they are and what they are passionate about. Do you have an application that requires the use of multiple synchronized signal input and signal output channels? Then you are probably well aware that just stacking a few instruments is often insufficient. Full synchronization includes stable and well-defined phase relationships between the various reference clocks, the ability to synchronize the signal outputs at defined times and the alignment of time stamps and sampling rates for the recorded signals. And, ideally, you would have to use only one single user interface or API to orchestrate the entire instrument assembly. 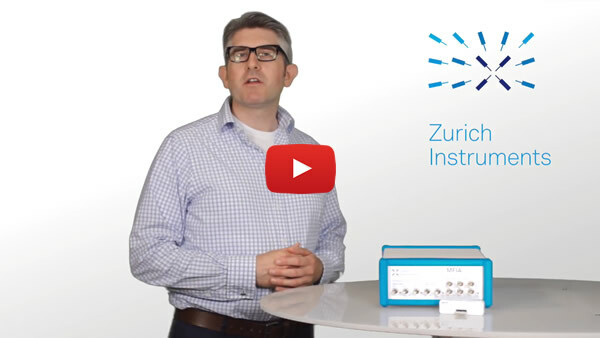 In our latest video Tim Ashworth, Application Manager, gives an introduction to the Zurich Instruments MFIA - the first impedance analyzer to include data verification which we call the “Confidence-Advisor”. The MFIA can accurately measure over a wide impedance range (1 mΩ to 1 TΩ) and wide frequency range (1 mHz to 5 MHz). It also features full Lock-in amplifier functionality, Scope, Spectrum Analyzer and Software trigger. Thanks to the LabOne instrument control software you can get great impedance data, quickly and with confidence. We want to thank to all students who submitted their papers to our 2017 Student Travel Grant call. As in the previous years, this has been a fantastic opportunity for us to learn about great scientific work that has been done in different research groups across the globe. Avik Dutt (Cornell University, USA): On-chip Quantum and Nonlinear Optics: From Squeezing to Specroscopy, PhD thesis, 2017. 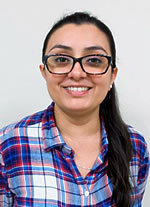 María Isabel Pérez Camacho (The Center for Research and Advanced Studies of the National Polytechnic Institute, Mexico): Propagation of a Thermo-mechanical Perturbation on a Lipid Membrane, arXiv:1705.05811, 2017. Margus Metshein (Tallinn University of Technology, Estonia): Realization and Evaluation of the Device for Measuring the Impedance of Human Body for Detecting the Respiratory and Heart Rate, Elektronika ir Elektrotechnika, 2017. Congratulations to the winners and remember - the call will be open again in spring 2018! Avik, María Isabel, Margus, could you tell us a little bit more about how the Zurich Instruments device helped you with your work? And what did you like about the instrument and working with it? Avik: "The Zurich Instruments MFLI enabled me to lock the frequency of a laser (RIO Orion) with that of a narrow 200 kHz linewidth filter cavity, to suppress excess phase noise of the laser at frequencies above ~2 MHz. This filtered laser was critical for quantum noise measurements, specifically, squeezed light characterization, because any excess classical noise in the laser has deleterious effects on the degree of squeezing. I liked the large bandwidth and the rolloff of the output filters, which provided a more stable, robust and longer lasting lock of the laser to the cavity than was achieved with other lock-in amplifiers. It also helped with better noise suppression over the range of frequencies that were of interest to me (>2 MHz RF sidebands of the carrier). The HF2LI is expected to be even better, because of the larger bandwidth." María Isabel: "We have been working on the propagation of thermo-mechanical disturbances in a lipid membrane. In our experiments the detector system is comprised by a laser beam reflected in a target, two segments photodiode which sensed the reflected beam, and the HF2LI to amplify this signal. In this project, the HF2LI Lock-in Amplifier has been helpful to avoid the environment noise and improve the signal-to-noise ratio during the experimental measurements. The software provided with the equipment is a really powerful and user friendly tool. It is almost plug and play and their interface is easy to use, and fast to learn." Margus: "I have used the Zurich Instruments HF2IS impedance spectroscope in my experiments of monitoring the breathing and heart rate of volunteers by measuring the impedance changes. These impedance changes are caused by the changing amount of blood in blood vessels and changing amount of air in lungs, caused by respiration. The HF2IS gives convenient access to the interesting data with a sufficiently high precision. I like the capability of the instrument, offering the flexibility of choosing the variables and setting different parameters in the user interface, but also the possibility of using the instrument as reference device and utilizing this to gather the analog and digital signal of auxiliary devices." After about 2 years we successfully completed the project "Ultrafast Instrument for Quantum Control and Measurement" carried out together with a team around Prof. Andreas Wallraff, ETH Zurich, and Prof. Hans-Joachim Gelke, ZHAW School of Engineering Winterthur. One of the main project outcomes is the Zurich Instruments UHF-AWG, an instrument with the capacity to control and measure quantum bits that could be based on different technologies (super-conducting circuits, semiconductor quantum dots, ions, etc.). Integrating functionality that could previously only be provided by combining many different instruments, the UHF-AWG reduces setup complexity of quantum computing experiments significantly and improves measurement and control performance. In addition, significant contributions were made to support one of the most pressing topics: scaling up the system to many quantum bits. With the development of the Multi-Device Synchronization (see previous article) multiple control and measurement instruments can be linked together and controlled from a single user interface. 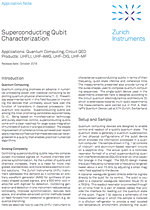 Superconducting Qubit Characterization gives details on some of the basic measurements and control patterns needed in every quantum experiment before actual computations can be implemented. 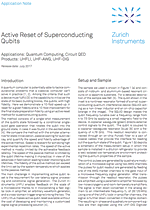 Active Reset of Superconducting Qubits shows the fast feedback capability and advantage of combining measurement and signal generation in a single instrument for the initialization of qubits. Zurich Instruments would like to thank all project partners, team members and the Swiss funding body for making this project happen. We enjoyed this successful collaboration very much and have a deep appreciation for the joint passion on pushing the scientific and engineering limits in quantum computing. Looking forward, we are excited to participate in achieving the first milestones in a project funded by the US based IARPA. We teamed up with Leo DiCarlo, TU Delft, TNO, the Netherlands Organisation for applied scientific research and Andreas Wallraff to push the limits of quantum control even further. The control of 17 and later 49 qubits is targeted and you can expect news about new hardware in order to achieve this goal. Stay tuned. Philip Moll is leading the Physics of Microstructured Quantum Matter (MPRG) group at the Max-Planck-Institute for Chemical Physics of Solids in Dresden, Germany. Hello Philip. Could you tell us about the research your group is currently involved with? My group and I are interested in new materials with unusual electronic properties on the mesoscale. By building electronic circuits from newly discovered materials, we can probe the basic physics of materials early after their discovery and test their performance in a chip environment. At the Max-Planck-Institute for Chemical Physics of Solids, my group enjoys the interdisciplinary environment of strong expertise in both chemistry and solid state physics we need to drive this research. The main materials of focus are unconventional and high-temperature superconductors, strongly correlated metals as well as topological semimetals. We use strong magnetic fields to study these materials, mainly for quantum oscillations for fermiology and to probe critical fields of superconducting devices. In Dresden you’re using both, HF2LI and MFLI lock-ins, some of them with options. How do they fit in with your experimental setup? A typical measurement involves resistance measurements in a helium cryostat and strong magnetic fields. Currently, the strongest magnet delivers 16 T, yet we are currently building up a new setup for a 20 T magnet to study Dirac- and Weyl-semimetals in the quantum limit. For these measurements, the MFLI is our workhorse lock-in amplifier that we use daily for high precision, low-noise measurements of small signals. Typical devices feature multiple electrical terminals which are measured in parallel while applying a current bias to the sample. As we focus on highly conductive materials, we are mostly concerned with signals on the nV level. 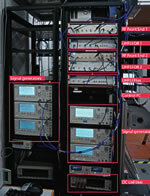 We use multiple MFLI units triggered together to measure the various terminals in parallel. In these projects, we are mainly concerned with the dc-response and use low frequencies (<200 Hz). The HF2LI is used for resonant experiments at higher frequencies. So what features of our lock-ins do you find especially beneficial? We chose the HF2LI specifically for its stable Phase-locked Loop, that I came into contact with during my time at UC Berkeley. We use it to track fast changes of a resonating circuit, which can be conveniently done using its FPGA-based PLL option. The ultimate goal is to track frequency changes of a resonating circuit in a pulsed field magnet. These powerful magnets can deliver up to 100 T over a few milliseconds. With the fast logic response of the FPGA, we plan to track the frequency change during the duration of the pulse. The HF2LI works well for us in higher frequency applications, yet we mostly need precision measurements of low signals at lower frequencies. So I was happy to hear about the development of the MFLI, expanding the same electrical design into small signal levels at low frequencies, and I ordered some of the first units right when they hit the market. I like the low-noise input stage and the flexibility of the software, and as a frequent user of other lock-in amplifiers with fewer bits on the ADC, I appreciate that I never saw digital noise on these units. But honestly, what I like most about these lock-ins that they do not have any front panel displays. 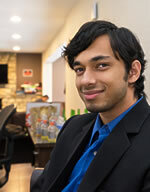 In the beginning, I was quite skeptical of going for an all software solution, but now I would not go back. The real danger with lock-in amplifiers is that they can be garbage in garbage out boxes. A lock-in without a scope attached is a sure recipe for disaster as you need to check the time domain information to make a judgment if the signal is actually valid for demodulation. But, you know, it gets late in the lab, you want to start your overnight measurement, do you really want to bring that scope over? So the lab reality is that many students often skip this step. This is completely eliminated with the MFLI, as you have to open your browser to set it up and you immediately see your input signal in the digital scope. This has clearly reduced the number of artifact measurements, as sample issues like contact non-linearities or ground leakage are immediately spotted. How do you see your research area changing over the next few years - are there any new developments that we need to look out for? I want to go further into the integration of novel materials into devices, using more of micro- and nanotechnology tools that were developed for silicon technology. There is much to be learned about unconventional metals with strong electronic correlations, and the development of large-scale dry dilution refrigerators is shifting the paradigm that materials requiring sub-Kelvin temperatures are only an academic curiosity which can never be commercially applied. The advent of quantum information technology is heavily driving this development, and, in the decades to come, we may see dilution-refrigeration becoming a standard tool in the computer clusters of Google and others. While most of these applications today use traditional superconducting materials, this also allows thinking about new applications based on unconventional materials such as heavy fermion superconductors. Building actual devices made from such materials and testing their performance may lead to interesting technologies. One general development in applied quantum materials is the growing complexity of devices, and when it comes to electronic experiments, they grow in the number of contact terminals. There are some interesting solutions on the market for parallel measurements of multiple channels, and I would like to see a multi-channel version of the MFLI in the future. You started your research career here in Zurich before moving to the USA, and then returning to Europe. What differences have you seen in the scientific environments of Switzerland, California and Germany, and what advice do you have for people looking to make similar steps? With the global connections of the scientific community, the questions of interest are rather similar worldwide, but the approaches and the culture of research are still very diverse. I thoroughly enjoyed all the places my path took me to so far, and I always try to learn from their individual strengths. At ETH Zurich, I learned a lot about well-structured research, building collaborative projects with the leading experts that were literally just around the corner. The availability of research infrastructure is exceptional, for my particular research I enjoyed good access to well-maintained micro-structuring equipment at the electron microscopy center SCOPE-M. To me, the strategy to invest in world-class infrastructure and attracting leading researchers alike is one of the main advantages of Switzerland as a science hub. Going to Berkeley was a very interesting change, and I certainly found the cliché of the dynamic research approach in the US to be very true. What a vibrant campus full of activity and interactions, between faculty, researchers and students alike. The timescales are much shorter, and the willingness to try even crazy ideas without the fear of possible failure is certainly something I took with me to my group. My next move to the Max-Planck-Society was yet another 180° change. 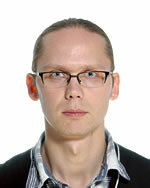 For once, it is my first position as an independent researcher. Of course, I had to learn about how to lead a group, and also learn to step aside and let others do things I very much enjoy, such as working on experimental setups. Luckily, I was able to assemble a great team of postdocs and students. We have great colleagues at the institute and it is a wonderful place to focus on science. Finally, how do you spend your time outside of the lab? Ha, this is a good question. Since well before my time at the university, I was always curious to try out new and crazy things. I may have a problem there, but I really enjoy playing around with ideas in the laboratory. So in my free time, I like to try some of the crazier ideas, and while most of them don’t work I thoroughly enjoy having tried something new. And sometimes, it does work of course. So most of my free time is spent in the lab, which probably explains why I know all the night guards at the institute. When I actually am out of the laboratory, I simply enjoy spending time with my wife and friends. I do like to cook, and sailing/boating and scuba diving in summer and skiing in wintertime. T. Fook Kong, X. Shen, Marcos, and Ch. Yang, "Lab-on-chip microfluidic impedance measurement for laminar flow ratio sensing and differential conductivity difference detection" in Applied Physics Letters, Vol. 110, Issue 23 (2017). P. Taheri-Tehrani, M. Defoort, and D. Horsley, "Operation of a high quality-factor gyroscope in electromechanical nonlinearities regime" in Journal of Micromechanics and Microengineering, Vol. 27, Issue 7 (2017). J. Nehrkorn, K. Holldack, R. Bittl, and A. Schnegg, "Recent progress in synchrotron-based frequency-domain Fourier-transform THz-EPR" in Journal of Magnetic Resonance, Vol. 280 (2017). While Scanning-Probe Microscopy (SPM) easily achieves sub-nm spatial resolution, measuring time-resolved properties to understand kinetics at the nm scale remains an elusive goal (Appl. Phys. Lett. 110, 053111 (2017)). However, when using the pump-probe approach with the cantilever as a detector almost any excitation signal such as electrical, thermal, magnetic or optical can be used. In particular femtosecond lasers hold great promise to push SPM time resolution to new limits. As signal generation and analysis setups are getting more complicated, the use of suitable test and measurement equipment is increasingly important. We believe the Zurich Instruments UHFLI, a 600 MHz lock-in amplifier, has the additional functionality needed to be the ideal companion for this new application field. Check out our new Time-resolved SPM applications page where we provide sketches for the two most important measurement schemes and get in touch directly to discuss your requirements.